Kelly Dawson Author: Sophia and the Duke - Hot New Release by Jaye Peaches! Sophia and the Duke - Hot New Release by Jaye Peaches! Welcome to my blog Jaye! 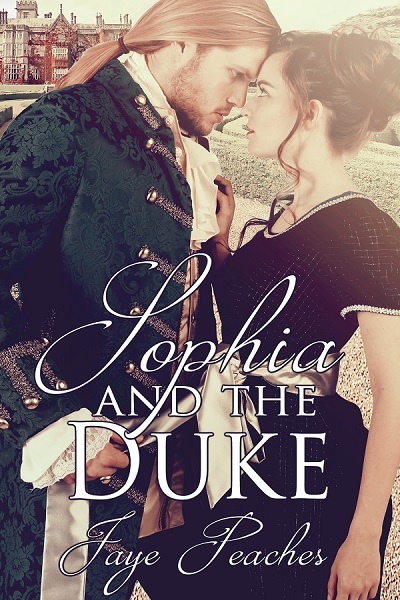 Hi Kelly, thank you for inviting me to visit your blog and sharing Sophia and the Duke, my latest spanking romance tale set during Regency times. I based part of this book in the New Forest on the south coast of England. New isn’t quite correct, it’s actually an ancient forest and a suitable location for a little outdoor birching. Sophia has married the Duke of Brockenhurst, who is quite at home outside living amongst nature having made a living as a fur trapper. Sophia is not. So, when he finds out she’s picked poison berries, which he told her not to do, she’s found herself bent over a fallen tree. Ready for what? What did he mean? She opened her mouth to speak, but all that came out was a sudden cry when he smacked her bottom. She wanted to leap up and march away. In that instance, as he started to spank her, she couldn’t understand what kept her in place. A duchess, one of the highest ranked individuals of the land, bent over a tree, naked and spanked by a man who only a year ago lived with the beasts. “No,” she wailed as his hand continued to rain down. His slaps came quickly, but not hard, as if they bounced off her rotund cheeks. She jolted, paddling her legs and pulling at the blades of grass with her fingers. Her bottom flared into a pool of heat, while between her sore cheeks, the breeze continued to tickle. “Thrash me!” She aimed her cry over her shoulder at him. No. She didn’t fear him. She knew she trusted him, and that she had to prove he could trust her. “I feel anxious that I won’t be able to take my punishment and that you think less of me for lying.” She blinked back the tears. She snatched a breath of alarm. A birch! Truth was, she had. Blurb: After the passing of her husband, the elderly Duke of Brockenhurst, twenty-two-year-old Sophia chafes at her family’s expectations during her lengthy mourning period. When she is free to re-emerge in society at last, at her grandmother’s insistence she entertains the courtship of Nathaniel Hartwell, a distant cousin of the old duke and the man next in line for the title. Hi Kelly. Thank you for having me visit, It's always a delight to visit the southern hemisphere and share some historical sauciness.